by Amy Payne, Heritage Foundation: President Obama has nominated a new ambassador to Libya to succeed Christopher Stevens, who was killed in the terrorist attack in Benghazi last September 11. Six months after that attack—and two federal investigations later—we still have an alarmingly small amount of information about it. The Obama Administration made quite a mess in the media with its conflicting accounts of the attack, originally blaming a controversial YouTube video for sparking protests abroad. 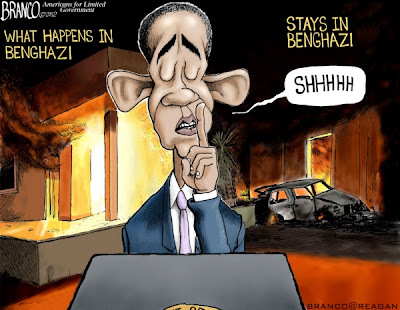 The latest incriminating information on the U.S. consulate attack in Benghazi, Libya indicates that the State Department turned down a request for additional security from concerned U.S. embassy staff. New evidence shows there were security threats in Libya in the months prior to the deadly September 11 attack that killed U.S. Ambassador Christopher Stevens and three other Americans. Despite these threats, the State Department left its personnel there to fend for themselves. And when the terrorist attack did take place, the Obama Administration peddled the ridiculous story that an offensive, amateurish, anti-Islam YouTube video was to blame in order to avoid characterizing the murders of four Americans as terrorism. On October 2, a letter was sent to Secretary of State Hillary Clinton from House Oversight and Government Reform Committee Chairman Darrell Issa (R–CA) and Jason Chaffetz (R–UT), Chairman of the National Security, Homeland Defense and Foreign Operations Subcommittee. The letter detailed 13 known security threats against U.S. facilities in Libya in the six months prior to September 11. April 6: IED thrown over the fence of the U.S. Consulate in Benghazi. April 11: Gun battle erupts between armed groups two-and-a-half miles from the U.S. Consulate, including rocket-propelled grenades. April 27: Two South African contractors are kidnapped by armed men, released unharmed. May 1: Deputy Commander of U.S. Embassy Tripoli’s Local Guard Force is carjacked, beaten, and detained by armed youth. May 1: British Embassy in Tripoli is attacked by a violent mob and set on fire. Other NATO embassies attacked as well. May 3: The State Department declines a request from personnel concerned about security at the U.S. Embassy in Libya for a DC-3 plane to take them around the country. May 22: Two rocket-propelled grenades are fired at the Benghazi office of the International Committee of the Red Cross, less than 1 mile from the U.S. Consulate. June 10: A car carrying the British ambassador is attacked in Tripoli. Two bodyguards injured. Late June: The building of the International Red Cross attacked again and closed down, leaving the U.S. flag as the only international one still flying in Benghazi, an obvious target. August 6: Armed assailants carjack a vehicle with diplomatic plates operated by U.S. personnel. September 8: A local security officer in Benghazi warns American officials about deteriorating security. September 11: Protesters attack the U.S. Cairo embassy. U.S. Embassy releases statement and tweets sympathizing with Muslim protesters/attackers. September 11: U.S. Consulate in Benghazi, Libya is attacked, Ambassador Chris Stevens and three other Americans are killed. September 12: Secretary Clinton and President Obama issue statements condemning both the video and the attacks. September 12: U.S. intelligence agencies have enough evidence to conclude a terrorist attack was involved. September 13: Press Secretary Jay Carney condemns video and violence at a news conference. September 14: The bodies of slain Americans return to Andrews Air Force Base. President Obama again blames the YouTube video. 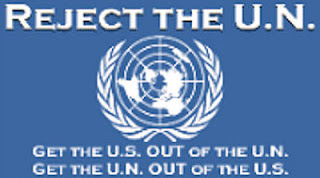 September 16: U.N. Ambassador Susan Rice appears on Sunday talk shows and says the attacks were provoked by the video, exclusively. September 17: State Department spokeswoman Victoria Nuland refuses to call attacks an act of terror. September 19: CNN reports having found Ambassador Stevens’s diary, which indicates concern about security threats in Benghazi. September 20: Obama refuses to call attack terrorism, citing insufficient information. September 26: Published reports show U.S. Intel agencies and the Obama Administration knew within 24 hours that al-Qaeda affiliated terrorist were involved. September 28: Director of National Intelligence James R. Clapper, Jr., issues a statement backing the Obama Administration’s changing story about the Libyan attack. Says facts are evolving. October 2: Carney declines to comment on reported requests from diplomats in Libya for additional security, citing the State Department’s internal investigation. Tags: Barack Obama, embassies, Hillary Clinton, House Oversight and Government Reform Committee, Jay Carney, Libya, middle east, National Counterterrorism Center, National Security, State Department, Susan Rice, terrorism, Video, violence, youtube, Heritage Foundation To share or post to your site, click on "Post Link". Please mention / link to the ARRA News Service. Thanks!